Ok guys before starting my review, I would like to inform you about an amazing deal. I recently came upon an amazing site CupoNation and I find they have a lot of great beauty products coupons especially some great ones from Flipkart. So if you are an online shopping junkie, do check it out. Now coming to the review. 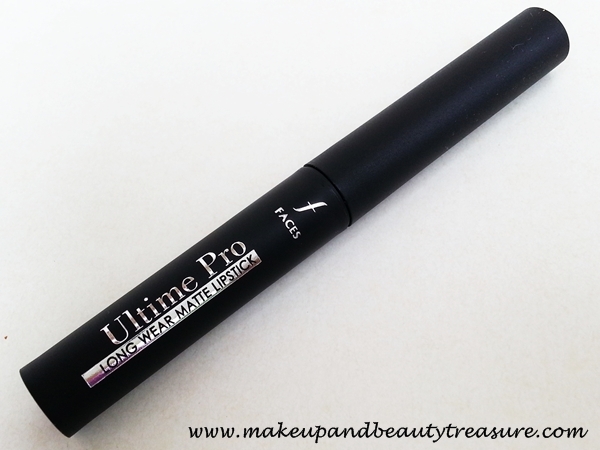 As you might be aware of the fact that I love Faces a lot and was really excited to try their new Ultime Pro range. 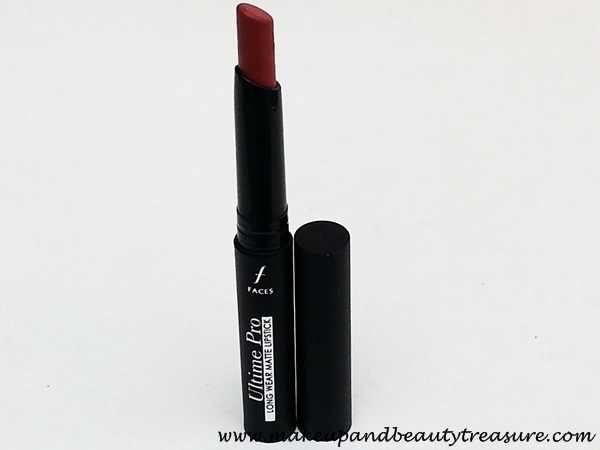 I was lucky enough to try their lipstick and today I am going to discuss my experience with Faces Ultime Pro Long Wear Matte Lipstick in 'Fig'. Shades available: Spice, Passion, Cinnamon, Fig, Lust on, Temptation, Peach blush, Flirty pink, Ready my lips, Very berry. 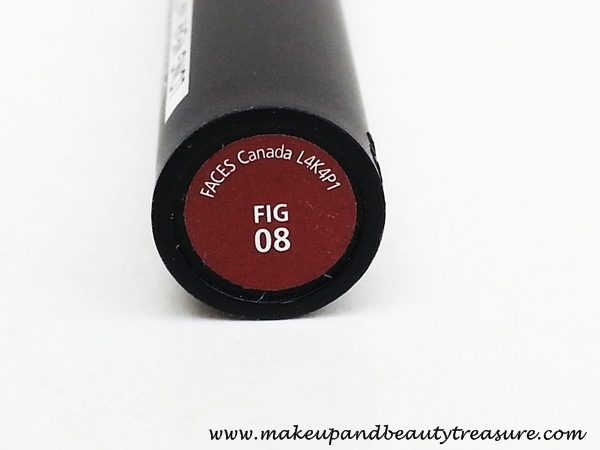 Faces Canada Ultime Pro Long Wear Matte Lipstick comes in a sleek, matte black, cylindrical shaped plastic casing. The packaging reminds me of The Body Shop Delipscious Sheer Lip Color. The lid of the lipsticks snaps shut satisfactorily and won’t create a mess in the bag. There is a sticker stuck at the base of the lipstick that mentions shade number and name. The color of the sticker depicts the shade so it would be easy to identify a particular shade in case you hoard many from this range. Overall the packaging is quite lightweight and looks classy. The scent of the lipstick is very mild and hardly noticeable. 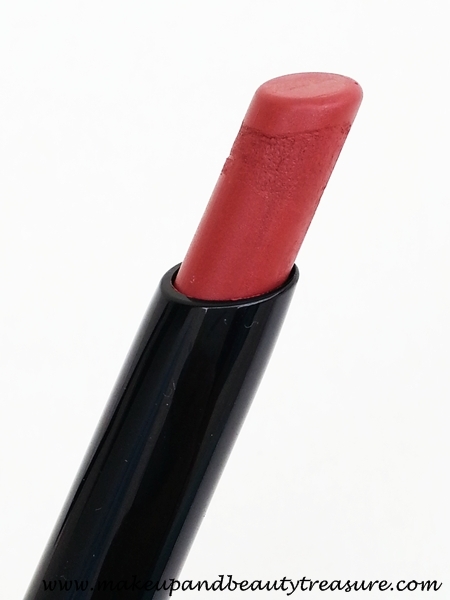 The texture of the lipstick is soft, smooth and creamy. It applies and glides across my lips evenly and effortlessly. Due to its thin, slant tip it doesn't cause smudging, feathering or bleeding. I prefer using lipstick on its own rather than applying with a lip filler or liner. The lipstick does not feel greasy or heavy on my lips. It is neither very moisturizing nor very dry. Since it is a long wear matte lipstick, make sure that you exfoliate your lips well and apply a good lip balm else it would highlight dry and chapped spots on the lips. My lips feel soft and hydrated after application. 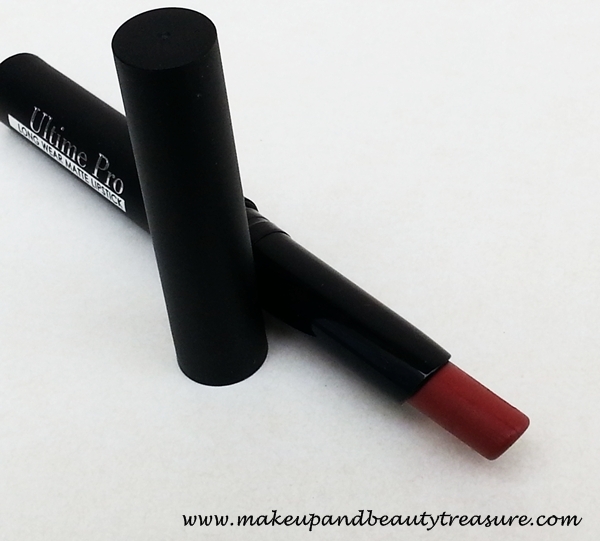 The lipstick provides a matte and smooth finish and gives a full lipped effect to my lips. It doesn't settle into fine lines of the lips. I love the pigmentation of the lipstick. It gives a true, decent color in just two swipes. It provides full coverage and if you have heavily pigmented lips then you will love it for sure. The staying power is pretty awesome. It stays put on my lips for a good 6-7 hours with eating and drinking. After that it starts fading leaving behind a slight tint without drying out my lips. It doesn’t transfer easily on mugs or cups. It can be easily removed using a good lip makeup remover. 'Fig' is a pretty earthy brown shade with a matte finish. It is an easy shade to wear and would look flattering on all skin tones. It can be worn for both formal and casual looks. You can also wear it in evening parties by topping it up with a gloss. If you are fond of neutral shades then this shade is definitely for you. • Does not dry out the lips. • Fig is a gorgeous neutral shade. • Many shades to choose from. • It might accentuate the dry patches if you have extremely dry lips. Make sure to exfoliate your lips and apply a good lip balm. Faces Canada Ultime Pro Long Wear Matte Lipstick has got soft, smooth and creamy texture. It has superb pigmentation and staying power. Since it is a long wear matte lipstick make sure to apply a lip balm before application. Although it is a bit pricey, I am happy with the quality and results it delivers. I would happily recommend it to everyone. 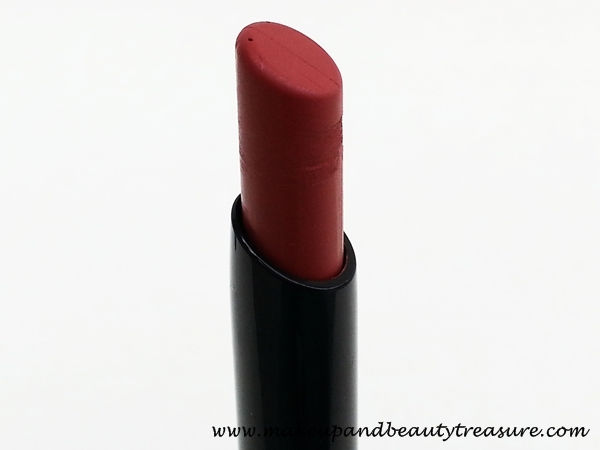 Have you tried Faces Canada Ultime Pro Long Wear Matte Lipstick? How was your experience? Share in the comments below! Beautiful review Megha. 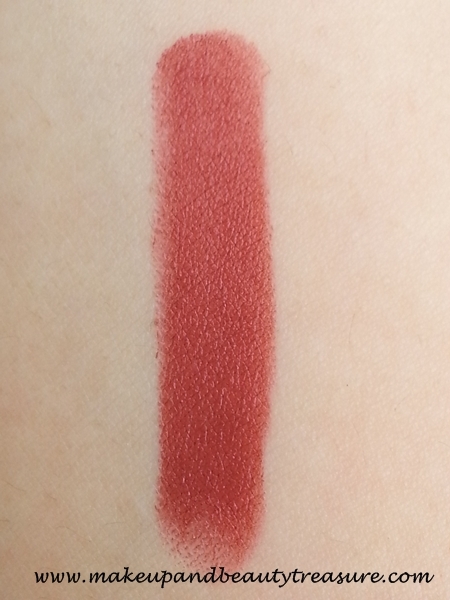 I really liked the fact that it is not as drying as the other long wear lipsticks, even after fading. Many people have rated the fig shade from their other ranges as low but this looks lovely in the swatch. Thanx Gaganpreet. Fig is a lovely shade. I have the same shade in go chic range too. Its a pretty neutral shade. I have the same shade and honestly, I am in love with it! its a lovely shade looking very nice on you as well:) nice review. The Shade is Truly Gorgeous n Very Versatile! And, Glad That These Aren't Drying! Thanx Nieshu! Yeah its a wearable shade! Wow .. 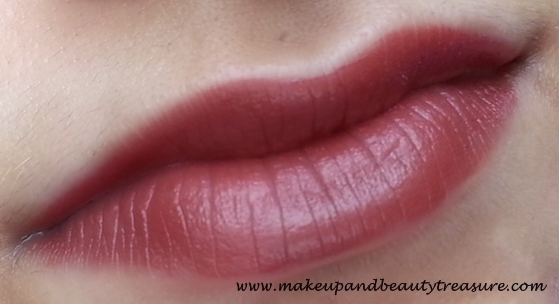 Such a seductive shade .. Looks pretty on you Megha .. Beautiful lip swatch !! Thanx Rads! yeah it would look pretty on u! This shade looks great on you! Nice post. I like to buy some shades from this range since I always heard good about them. Thanx Nisha! Yeah they do have awesome shades!